Many parents wish they could ensure that their children behave according to their family’s values and rules when they are outside the home. While it’s a common wish, know that it’s not necessarily realistic. Your child will encounter different rules and different levels of acceptable behavior once they leave your home – whether it’s at school, or if it happens when they leave the nest for good. The fact is, it’s not possible (or healthy) to have your child under your control at all times. 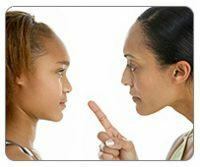 And, although it’s difficult for many parents to come to terms with, there is a limit to how much you can enforce – after all, your child will make their own choices, and they are ultimately responsible for their own behavior. This does not mean that you are powerless, however. You can’t always control your child’s choices, but that doesn’t mean you have to let them do everything they want or that you can’t give consequences for rule violations. This is especially true when it comes to issues of your child’s safety. If you are concerned that your child is using drugs or alcohol, or is engaging in physically dangerous or illegal acts, you need to do what you have to in order to keep them safe. That may mean requiring drug or alcohol treatment, or enforcing a limited curfew. If your child is trying to date someone before they are old enough, or they want to date someone who is too old for them, make sure you are double checking that any group activity is supervised by a parent you know and do your best to host social events. If you find your child has gone out at night and is participating in very risky behaviors, involve the help of your local police department each and every time you discover your child has left your home during the night. Let your child know that they are unsafe and you will do anything it takes to keep them safe. In this article, we will be addressing what you can and can’t do to control activities that are at odds with your family rules and values, not issues that put your child in physical danger. If your child quits or loses her job, you can give her a consequence for that, while also helping her learn the skills she needs to be successful in the workforce. Those skills might include being on time, being professional, or finishing assigned tasks. Many parents have concerns about the kids their children spend time with. When you present your expectations or rules to your child, don’t make it into an argument about whether she should make her friends her top priority or not. When you try to talk your child out of her friendships, the end result is often a deepening of those friendships – it’s not a battle you are likely to win. So stay focused on the rules, and how they relate to your household. For example, you may require that your child does not go out on school nights and has a curfew on the weekends. Sometimes this alone will end these friendships because the other kids are hanging out on school nights and staying out very late on the weekends. If you are concerned about your child’s video game playing at other’s houses, you can say, “I know that Tim and Luke play video games after school. In our family, we have a rule against video games, so you don’t have my permission to go to their houses anymore. You’re welcome to have them over here, though.” If you discover your child had managed to get into an R rated movie with a friend, you might tell him he can’t spend time with friends outside of your home next weekend. You could use that opportunity to host an appropriate social event with your child, his friends and your family. Why Does My Child Defy Me? 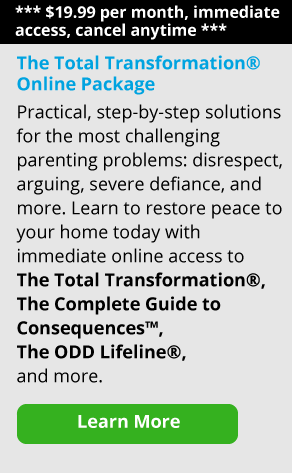 Parents often wonder how their child can behave so differently outside of the home. Remember that part of being a teen is trying new things. Keep in mind that many times for your child it’s actually more about the activity than it is about an attempt to defy you as a parent. If you find that your child has disobeyed the family rules outside the home, keep the lines of communication open. Rather than give lectures, discuss the choices your child is making, and how they relate—or don’t relate— to family rules and expectations. In this way, you continue to communicate your family’s rules and values while realizing your child’s need to experience the world for themselves. When they disobey your rules, there may be a natural consequence for their choice, or you can impose one. Kids caught smoking on school grounds receive consequences at school.Those caught smoking in town can receive a citation from the police. Have your child pay any fines themselves and serve school detentions. You can let your child know that any cigarettes found in your home will be thrown away and if you smell cigarettes in your car when they borrow it, they lose access to the car for a specific, short period of time. One of your primary roles as a parent is that of a coach. As James Lehman explains in the Total Transformation Program, you are the “trainer” for the skills your child needs to learn to become a responsible, accountable adult. As James says, “It’s your job to teach, and your child’s job to learn.” You can’t do all the learning and practicing for your child. You can’t legislate what they will do outside of your home, or how well they will use the tools you’ve given them. For better or for worse, your children will make choices you wish they wouldn’t. They will get hurt; they will make mistakes. All the control in the world won’t stop that. You can’t always choose for them. But you can use your role as the primary coach and teacher in your child’s life to teach them the skills they need to help get back up when they do, inevitably, fall down. By keeping the lines of communication open, you’re teaching your child to consider the choices they are making, and the effect those choices will have. By enforcing the rules in your own home, and giving consequences designed to help them practice new behaviors, you’re helping your child learn practical, useful skills they will need as they go out into the world. Remember, your child is ultimately responsible for his or her own behavior. Your true empowerment as a parent lies in your ability to teach and coach your child so that they will be able to make the right choices later on.